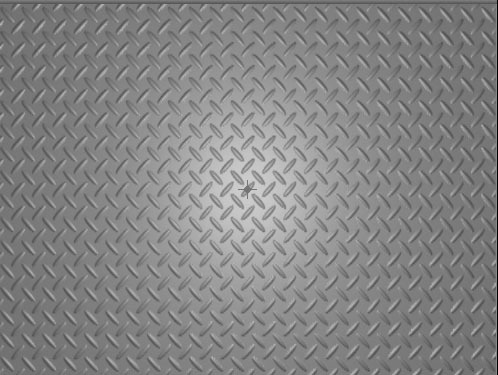 Steel Plate creates a textured plate of steel generator. The steel can act as a ﬁlter on a layer or generate a steel surface. The Offset XY position controls determines the position of the generated steel plate. Scale X and Scale Y determine the horizontal and vertical size of the steel plate image. Select Lock to Scale X checkbox to lock the Scale Y value to the Scale X value, or deselect this option to adjust each parameter independently. 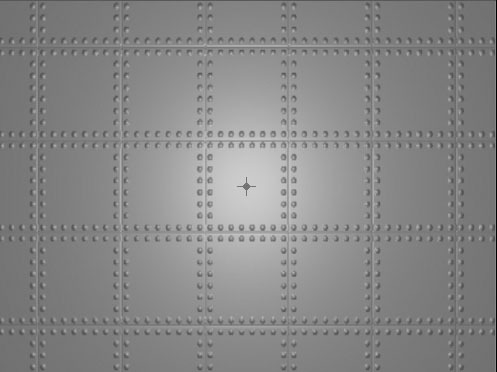 Rotation spins the steel pattern around the Z axis. Bump Height determines the height of the bump map used to create the texture of the bricks. Higher values create a more textured surface. 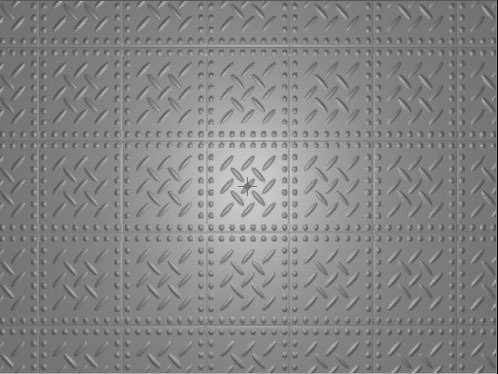 The Pattern Type menu determines the texture of the Steel Plate, choose Shape&Rivet, Shape or Rivet which are illustrated below. The Rivet Shape menu determines the shape of the rivets, choose Round Bolt, Hexnut, Lugnut, Capped Lugnut and Star. The Shape menu determines the shape choose Round Bolt, Hexnut, Lugnut, Capped Lugnut, Star, Diamond and Crosshatch. Plate Gap determines the width of the gap between each steel plate. Higher values create wider gaps. Plate Width Radio determines the aspect ratio of the steel plates. Higher values create wider plates. Lower values create taller plates. At the default of 1, the plates are square. Rivet Size sets the size of the chosen Rivet. If the Pattern Type menu is set to Shape, this parameter has no affect. Shape Size sets the size of the chosen Shape. If the Pattern Type menu is set to Rivet, this parameter has no affect. Rivet Counts (Width) and Rivet Count (Height) set the number of Rivets on the X and Y axes respectively. If the Pattern Type menu is set to Shape, this parameter has no affect. Shape Counts (Width) and Shape Count (Height) set the number of Shapes on the X and Y axes respectively. If the Pattern Type menu is set to Rivet, this parameter has no affect. Rivet Offset sets the distance of the rivets from the edge of the plate. Higher values add more space between the rivets and the edge of the plate. Shape Area Scale X and Shape Area Scale Y scale the shape on the X and Y axes respectively. This parameter differs from Scale X and Scale Y in that scaling the value scales the width and height of the plates but does not affect the plate gap. Stain Amount sets the amount of stain added to the surface. You can use this parameter to imitate dirt, moss, spray paint or water on the steel plate. At a value of 0, no stain is visible.